The SUNY Impact Foundation supports multiple initiatives that focus on high-impact funding, spurring innovation system-wide, ensuring access, and creating pathways to success. The SUNY Impact Foundation awards grants for projects that will impact the lives of SUNY students across the system. Our targeted funding allows us to scale proven programs and pilot innovation among 64 campuses, 1.4 million students, and 19,000 faculty. By engaging with the system, we clear common obstacles that stand in the way of student success to ensure student retention and persistence. Established in 1967, SUNY’s Educational Opportunity Program (EOP) is renowned for its effectiveness in providing college access and promoting student success for disadvantaged NYS residents who have academic promise but whose life circumstances have not permitted them to reach their potential. On the eve of the program’s 50th anniversary, we are seeking partnerships with external funders to expand and enhance this proven, evidence based strategy. We have $8M worth of Impact Opportunities to increase program enrollment, expand the number of campuses that offer Summer Bridge programs, support degree completion, and offer more Graduate School Opportunity programs. On May 17, 2017, the SUNY Impact Foundation commemorated its launch with a 50th Anniversary Celebration of SUNY’s Educational Opportunity Program in the iconic Rainbow Room of New York City. Over 240 attendees joined event host, Al Roker, in honoring the evening’s award recipients: Carl E. Heastie, Speaker of the New York State Assembly, Sunny Hostin, Cohost of ABC’s The View and Senior Legal Correspondent for ABC News, and Stanley S. Litow, Vice President, Corporate Citizenship and Corporate Affairs for IBM. With strong corporate and philanthropic support, the event raised over half a million dollars to benefit the 47 EOPs across the SUNY system. 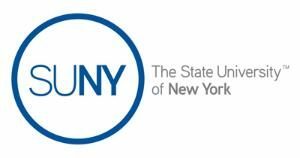 The State University of New York (SUNY) Impact Foundation is pleased to announce the receipt of a Communities Against Hate grant from the Open Society Foundations. The grant enabled the SUNY Impact Foundation to fund diversity, equity and inclusion system-wide trainings in 2017 and 2018. In addition, the grant has enabled the creation of an emergency fund, named a Communities Against Hate fund, that can be used to compensate SUNY students in the wake of hate crimes and/or acts of discrimination, including sexual and interpersonal violence. You can read a copy of the Criteria and Process Outline for campuses to request Communities Against Hate funding. While it is our hope that SUNY students never become the victims of hate crimes, discrimination, or any acts of aggression, the SUNY Impact Foundation is thankful to be in a position to provide financial assistance when and if such instances arise. Funding for Communities Against Hate will be available until December 31, 2018. Thanks to support from the Gerstner Family Foundation and the Heckscher Foundation for Children, the SUNY Impact Foundation is working with these granting foundations on the administration and data collection of a SUNY Student Emergency Fund pilot program. Emergency funds have been established at seven SUNY campuses: University at Albany, University at Buffalo, SUNY Buffalo State, Cayuga Community College, Dutchess Community College, SUNY Oneonta, and SUNY Orange. The funds will enable these campuses to rapidly respond to students experiencing unforeseen financial hardships due to situations such as homelessness or threat of eviction, medical emergency, natural disaster, domestic violence, theft, and loss of employment. Examples of eligible expenses include rent, utilities, clothing, furniture, medical expenses, back-up child care, back-up transportation, and replacement of stolen items needed for school. Pilot programs began in the Spring 2018 semester. The Foundation collaborates with SUNY System Administration, all 64 SUNY schools, and private donors to design and administer a variety of scholarships and fellowships that help determined students earn a college degree at SUNY. Chancellor Johnson’s inauguration and celebratory dinner on September 13th brought together leaders from higher education, government and the private sector, to celebrate this milestone in SUNY’s history and to raise support for the SUNY Impact Foundation. The net proceeds from the event will create two unique opportunities that will enable deserving students to pursue and complete their education within the SUNY system: the establishment of a Chancellor's Fellowship Fund, and the seeding of a Near Degree Completion Grant Fund. An example of one of our latest scholarship opportunities is the Stanley S. Litow P-TECH Scholarship Fund described below. In honor of SUNY Trustee and IBM International Foundation president emeritus, Stanley S. Litow, with thanks to the generosity of the IBM Corporation, the SUNY Impact Foundation has established the Stanley S. Litow P-TECH Scholarship Fund. P-TECH schools are innovative, public, grade 9-14 schools that bring together high school, college, and career. Within six-years, students graduate with a no-cost Associates degree in applied science, engineering, computers, and related disciplines, along with the skills and knowledge they need to continue their studies or step easily into information technology jobs. The Stanley S. Litow P-TECH Scholarship Fund provides annual scholarships to New York State P-TECH graduates who meet eligibility requirements. To be eligible to apply for a scholarship award, applicants must be on track to graduate from their P-TECH school with an Associate in Applied Science or Associate in Science degree; and plan to continue their education at a four-year SUNY institution in the same degree field as their Associate degree. Following the destruction caused by hurricanes Irma and Maria, New York State and SUNY remain committed to providing assistance and support to our fellow Americans. In partnership with organizations across Puerto Rico, the SUNY Impact Foundation is raising funds to support SUNY student engagement for hands-on service learning experiences in Puerto Rico. With philanthropic support from the SUNY Impact Foundation, SUNY faculty and various non-profit organizations are providing SUNY students with opportunities to expand their education beyond the classroom through volunteering, teamwork, and becoming a global citizen. Thanks to the generosity of The Heckscher Foundation for Children, the SUNY Impact Foundation is coordinating the implementation of Learning-U, a 2019 summer residential program for rising NYC high school juniors and seniors from NYC at SUNY Potsdam.